Woodworking can be one of the most fulfilling and addictive hobbies around. Creating beautiful furniture out of raw materials is as satisfying an accomplishment as you can experience. Between the need for large tools and plenty of storage space, many people are discouraged before they even begin. One solution is to rent a storage unit. Today, Affordable Family Storage will discuss the ways in which you can create extra storage space for your woodworking hobby as well as some general tips for storing your work. One of the beautiful things about woodworking is that you can actually create storage space with your work. Need a rack to hang excess lumber when it is not in use? Throw one together and you’ll have a safe place to keep your lumber. It is simply a matter of creating shelving with a little extra support to handle the weight of lumber storage. You can also create simple tool holders to keep your tools available and easy to find. Similar to creating a cabinet, a tool holder generally has smaller drawers and storage space so you can place similar items together before labeling the drawer. Another excellent method for creating storage space at home is with a large wooden chest. This is one of the more difficult projects to get right, but if you do have the ability to craft a large storage chest from wood, then you can make great place to keep your seasonal items separated from your everyday belongings. Although you have the ability to create storage space with your woodworking hobby, the fact is, you will also create many items that need to b e stored themselves. Whether it is furniture that you no longer have room for or a bird feeder that you won’t be using in the winter, finding room for all of your creations can be a challenge. 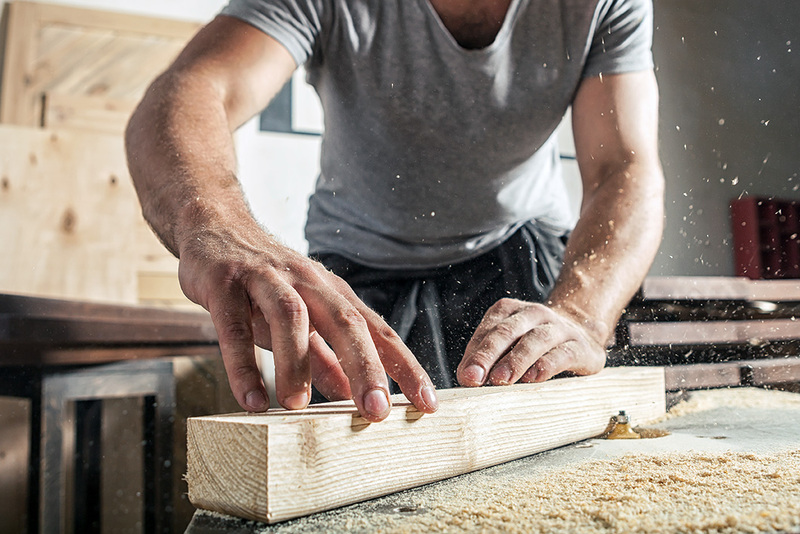 Choosing a climate-controlled storage unit that will protect your woodwork is an affordable way to create extra storage space around your home. If you are looking for ways to create storage space around the house for your woodworking hobby, contact AFS today. Our state-of-the-art climate-controlled storage units feature 24/7 security. You can rest easy knowing that your belongings will remain in great condition during their stay with us. If you are in the Council Bluffs, IA area and are in need of a storage unit, contact us today at 712-794-4648 to learn more.